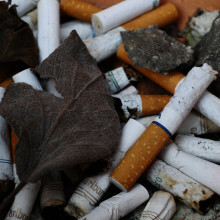 Every eight seconds in the United States, someone dies from a smoking-related illness. Smoking is incredibly harmful to your health, and if you decide to quit smoking early on, you will greatly improve the chances of living a long and healthy life. Within 15 years of stopping smoking, you will have the same health as a typical person your age who has never smoked. There is no time like the present to quit smoking, but quitting smoking is not easy. Millions try it every year and millions fail. There are a lot of ways to be successful when you quit smoking, but one way that is often forgotten is picking the right day. When you decide to quit smoking, you need to pick a good day to quit. 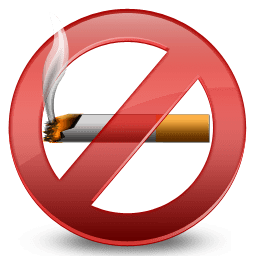 The first few days are going to be the hardest and if you are a manager of a retail store and you decide to quit smoking the day before Black Friday, you will not succeed in quitting smoking. You never want to start your quitting quest when you are stressed out. Stress comes in many forms, and if you are under unusual stress, you will start smoking again. 1. When you are about to start your final exams. 5. When you are dealing with a lot of stress at work. You want to choose a day that is meaningful for you, but also a day when you are not going to be stressed out. One common strategy people use is to quit smoking while on holiday. They are not stressed out at all, their time is occupied and they are not thinking about smoking. If you go to Italy for a month and you quit your first day, you will come back suddenly realizing that you have not smoked in 30 days. other popular days include New Year’s Day, which is all part of resolutions but roughly 80 percent of people fail to commit to their resolutions. Birthdays are also a popular time to quit smoking since you are starting a whole near year of your life. Pick the right day to quit smoking and you will find that your success rate increases dramatically. You don’t have to doom yourself to failure in your quitting quest, just choose the best day for quitting and success will be yours.